Publications within the series consider various legal, economic and political developments related to competition law and policy. They also consider the application of competition law and policy in sector-specific as well as cross-sector contexts. The publications deal with policy questions ranging from the formation and adoption of competition law and policy at national, regional or international level as relevant to those dealing with enforcement, and the connection between law and competition in the market place. The Series also accommodates different analytical and interdisciplinary viewpoints, such as law and economics; law and political science; law and economic geography-driven perspectives. 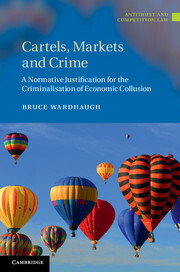 The Series includes publications designed to cater for academic demands as well as practitioner publications to reflect the continuously evolving needs of regulators, policy-makers, and practitioners, in particular lawyers and economists. The editorial board of the Series welcome proposals by authors and editors who are interested in contributing to the Series through: academic monographs; revised PhD theses of high quality; practitioner texts and collections; and edited volumes.